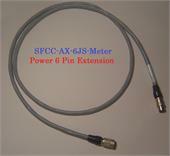 SFCC Vision Systems use specially designed Low Noise cables for best images with various CCD Cameras. This dual jacket sheilded structue ensures high fedility and high flexibility. 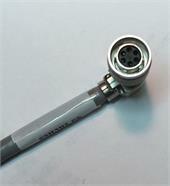 Assemblies can have molded angle connectors as well. Your Price: Please provide us the wiring connections! ( Hirose 12 Pin )Extension Cable For Camera or Lens. GOOD FOR ALL 12 PIN CCD CAMERAS AND LENS. Custom Specs and Cable Assemblies Welcome. Customers can choose the lengths:1,2,3,5,7,10,15,20, or 25 meter. GOOD FOR ALL 12 Pin CAMERAS AND LENS! 12-pin camera cables assembled with HR10 connectors great for all CCD cameras. 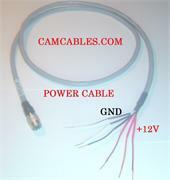 Customer can choose lengths:1, 2 , 3 , 5 ,7 ,10 ,15 ,20 ,25 meter Standard Wiring Connections for all 12 Pin CCD Cameras. Good for All Hirose 12 Pin CCD Cameras. 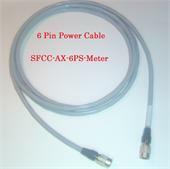 12 Pin Female Right Angle Camera Cable. Custom can choose connector directions. This cable is12 pin Right Angle Female Side only.